Imagine how much your life would improve if you can fall under one of the above categories ... All this is possible only through the use of Ketu ( South Node of the Moon) Yantra . Melt the trauma and problems with the use of this unique talisman !
" Ketu " in Vedic astrology is a celestial body visible. This is what is generally known as a planet "shadow", as it is one of the invisible nodes of the Moon, a point in space relative to the Earth 's elliptical orbit of the Moon. Ketu Yantra is an auspicious talisman used to calm the planet Ketu . If Ketu is malefic in your horoscope , this yantra is recommended to remove the malefic effects . The Yantra blesses you with respect , friendship , love and charity ! 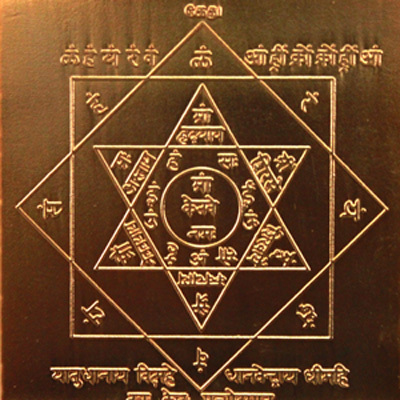 The Ketu yantra removes all negativities and brings success in business and victory over enemies . It deals with various diseases caused by the negativity of this planet , as skin problems and surgery. Consequently reciting his mantra helps and amazing results ! It has a tremendous impact on human lives and also the whole creation. In some special circumstances it helps a man to achieve the zenith of fame. Ketu is sometimes called the " holy planet " because it can also bring great longing for liberation. Through the worship of Ketu Yantra can appease and avoid the evil effects of the other planets. The recognition and worship of this celestial body brings happiness dark comprehensive and a general feeling of wellbeing. It showers prosperity on the devotee . It is also said to eliminate the effects of diseases and snake bites arising from toxic substances that enter the body of one. It confers good health , wealth and prosperity generally . Using the Ketu Yantra ? Yantras are great cosmic energy directors , an antenna of Nature , a powerful tool for harmony , prosperity , success , good health , yoga and meditation ! Yantras consist of a series of geometric patterns . The eyes and mind concentrate at the center of the yantra to achieve higher levels of consciousness . Yantras are usually made of copper. Place the Yantra to the North East or clean and sacred altar . Do not let anyone touch the Yantra . Periodically wash the Yantra with rose water or milk. Then rinse with water and dry to dry. The color of the Yantra may change over a period of time , however this does not dilute the power of the Yantra . Place rounded dots of sandalwood paste on the 4 corners and in the center of the Yantra . Light a candle or ghee lamp and an incense stick in front of the Yantra . You can offer fresh or dry fruits as Prasad , as well. Singing the previous front Yantra Mantra , preferably after showering .